Usually the international break is greeted with a groan of disillusionment at the thought of a weekend of incoherent tedium, but after the dramatic few weeks that Leeds United endured running up to this one, it almost felt like a blessed relief. We had plunged the depths of dejected despair at Loftus Road, inexplicably squandering our game in hand. We bounced back with exhilarating brilliance against West Brom before grinding out a functional 1-0 win at Ashton Gate. Then we smashed Reading with relative ease before losing to the only shot on target at home to Sheffield United. The reaction varied from the measured to the downright hysterical. Liam Cooper got pilloried (again) and that footage emerged of poor Danny slumped to the floor of the bar hours later, visibly and audibly smarting from the devastating loss. The mundanity of the international break though has given our frail nerves and circulatory systems some much-needed respite, at least on the surface. Those of us who are hypersensitive to the fortunes of our players, and let’s face it, that’s basically all of us, have been poring over international match reports, praying for an injury-free weekend and a maintenance of form. So how did everyone get on? Under normal circumstances, there wouldn’t be a great deal of scrutiny on your substitute goalkeeper heading off to represent his country but given Kiko Casilla’s red card in the Yorkshire derby, the spotlight is now firmly shining in the direction of BPF. 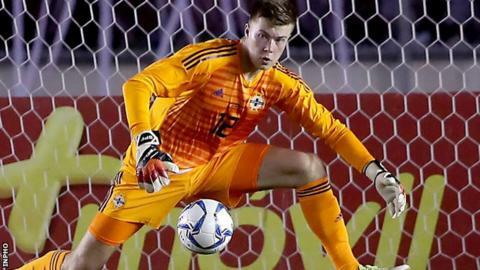 Having not played regular first-team football in a number of months, Peacock-Farrell returned to action against Estonia at Windsor Park last Thursday night. Despite struggling to find the net until Niall McGinn’s 56th minute opener, the hosts were dominant and BPF had very little to do but remained alert late in the game to save a one-on-one effort with Estonia’s Henri Anier. Good concentration from the young goalkeeper. In their second game, also at home, against Belarus, Peacock-Farrell could have done better as a 33rd minute deflected shot (incidentally off Stuart Dallas) looped over his head into the net. The Leeds stopper did make up for it late in the game, with another fine stop at the death to seal the three points for his team. Dallas, like his compatriot BPF, has been warming the Elland Road bench for much of the season, but has been called upon consistently by Bielsa to steady the ship towards the end of matches, and in some cases, his impact has been telling. 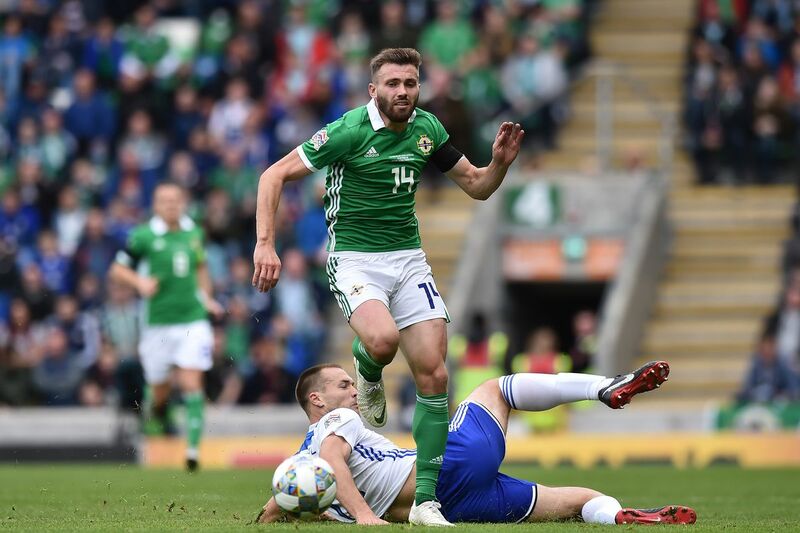 This weekend, he put in an energetic performance against Estonia for Northern Ireland, bursting forward and getting involved in attacks in a game in which his side were dominant. In their second game against Belarus, Dallas was slightly less prevalent. It was his deflection that guided the ball beyond the reach of Bailey Peacock-Farrell for the visitors’ equaliser, but his steady performance enhances his reputation as a safe pair of hands for club and country. The Macedonian Duracell Bunny brought the tireless running and blistering pace he has shown at club level into the international break and helped his side to four points over their two games. In their first game last Thursday, his 11th minute opener set the Macedonians on their way to a comfortable 3-1 victory, with their opponents Latvia only scoring via an 87th minute own goal. Their second match against Slovenia was a more competitive affair, but Gjanni continued to cause the opposition problems and won numerous fouls up the left wing, drawing a round of applause from his own fans and boos from the Slovenians on his 93rd minute substitution. 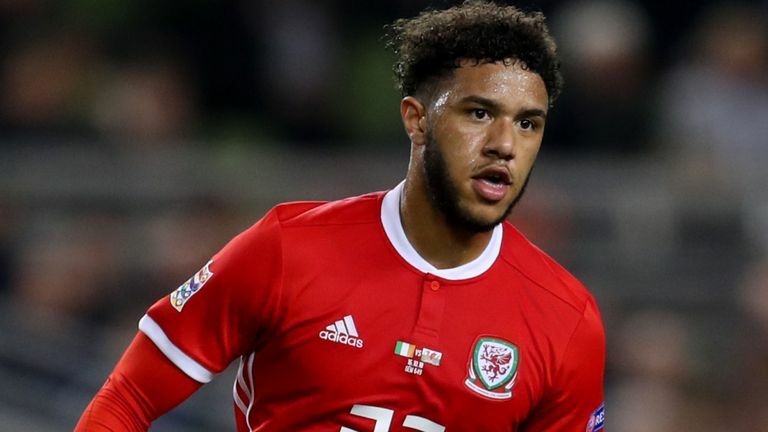 Roberts was involved in Wales’ friendly against Trinidad and Tobago last Wednesday evening and the encounter was an entirely drab, forgettable affair, that I unfortunately sat through in its entirety, fretting over Roberts picking up an injury. Scoring a solid 7/10 on the Sky Sports report, Roberts had some nice touches and showed some of his club form as he tried to make things happen in a lacklustre 90 minutes. It is easy to forget just how young he is and that his steps on this stage are early ones. 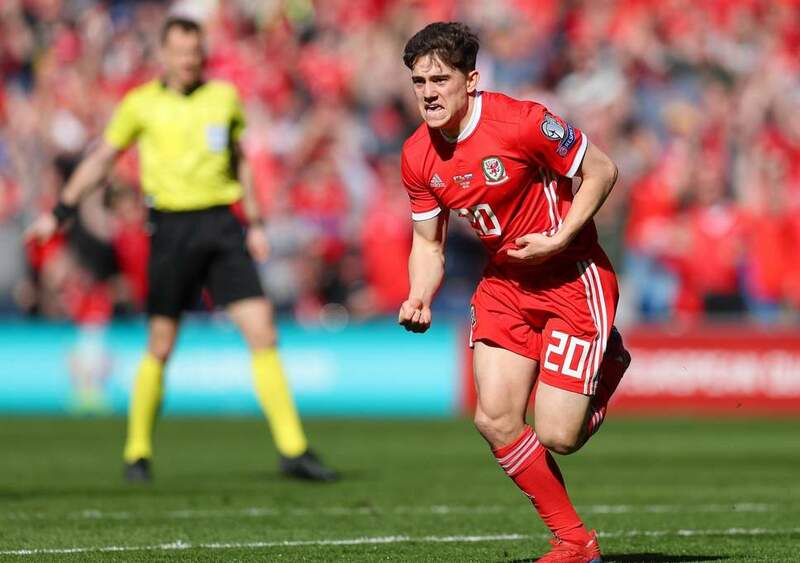 Roberts was a 60th minute substitute in Wales’ second game against Slovakia, replacing David Brooks. He was in the action quickly, but his effort sailed high and wide of the goal, and managed to win a few free kicks in the closing stages, but overall a quiet half hour. Klich’s form under Bielsa this season has earned him a recall to the Polish side and he was in action in both their games over the weekend. Poland opened with a narrow 1-0 away win in Austria. Klich had a solid if unremarkable game, managing to connect with a few trademark shots from outside the box but without troubling the target, before Piatek netted their winner. Their second game against minnows Latvia was only sealed with two late goals from Lewandowski and Glik, and although he started the game, Mateusz was replaced in the 62nd minute by Jakub Blaszczykowski having had a quiet game. *Due to Huw Jenkins’ intransigence, this is pure fantasy. There were also underage performances from Tom Pearce (England), Jay-Roy Grot (Netherlands) and Apo Halme (Finland) over the course of the weekend. 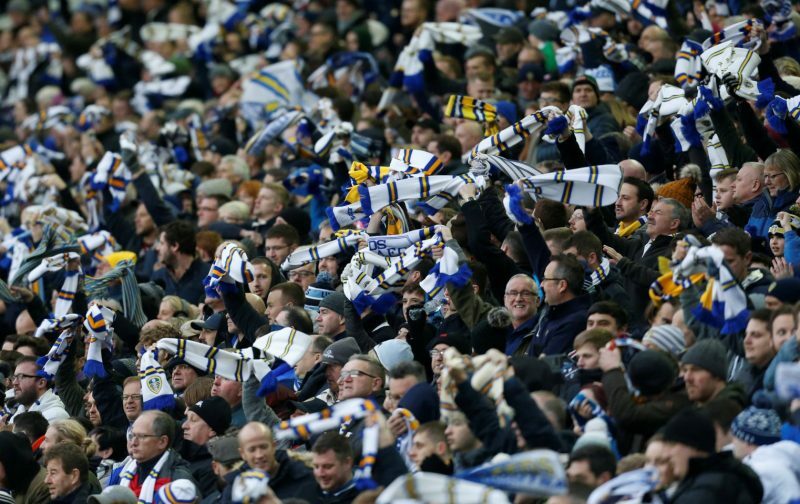 So it’s back to league action this weekend as a fired-up Millwall make their way to Elland Road. With our international stars coming through the weekend both unscathed and with a healthy number of minutes underneath their belt, we will be hoping it is business as usual for Bielsa’s boys. Norwich also face a potential banana skin away to Middlesbrough while Sheffield United host Bristol City, who are in dire need of a win to reignite their ailing (Ayling) play-off bid. All eyes on the Championship come the weekend. By the time the next international break rolls around, we will know our fate.